Depending on the equipment and computing power, notebooks cost between 200 and 2,000 euros. If you need a future-proof device, you should invest more than too little. If you only want to purchase the notebook as a second computer for mobile use, you can already find a passable device for around 200 euros. For example, the 1.3 kg lightweight Lenovo IdeaPad 120S with an 11.6-inch display. For about 50 euros more, the Trekstor Surfbook A13 already has a 13.3 incher , which also has a full HD screen. The Celeron N4000 installed in the device, however, only enough for simple office work with tables and texts or for surfing the Web. Both devices use an eMMC flash memory with 32 or 64 GB. Although the memories are faster than a hard disk, the speed of an SSD is clearly lagging behind. If you need larger or faster memory, we recommend using itNotebook with a 1 TB hard drive or a 128 GB SSD. From around 300 euros, these devices are available. If you do not want to work just as small tables and short texts for office use, but also want to make simple photo edits with the notebook , a notebook with a Core i3 like the Acer Aspire A315 is recommended. With 400 euros or more you have to expect. If the notebook even has a Core i3-7020U, ie a core i3 processor of the seventh generation, the device can cost up to 550 euros. Advantage: They work about 15 percent faster than the previous generation Core i3 processors. An all-round notebook equipped with a Core i5-8250U is available from 600 euros. Also known as the Lake R processor, the current core model has four cores and hyperthreading. All applications supporting multiple cores are accelerated as well as the parallel operation of several programs. Thanks to 8 GB of RAM, both multimedia operation and surfing run faster when many browser tabs are open at the same time. The 256 GB SSD is sufficient for most memory tasks. At least if you also work with cloud storage. However, if you only want to backup locally, a model with a 2 TB hard drive is the better choice. If the notebook has both a large HDD and a fast SSD on board, you must invest at least 700 euros. In most cases, the flash memory is space-saving in M2.-format installed. Allrounder are to have around 900 euros. These then have a 512 GB SSD, up to 16 GB RAM and a faster Core i7. But this investment is only worth it if the notebook mainly converts video formats or processes photos. If you do not want to compromise on current games, you need a powerful graphics card. Accordingly equipped laptops are available from around 900 euros. Cheaper laptops with AMD or Nvidia graphics cards such as Radeon 530 or Geforce 940 MX are only suitable for less demanding games. With current games, however, you would have to radically reduce the resolution and forego details. Game notebooks for less than 1,000 euros usually have a Geforce GTX 1050 and a quad-core processor such as the i5-8300H on board. To run games in Full HD, it should already be a Core i7-8750H. This hexa-core processor as well as a Geforce GTX 1050Ti are usually sufficient and can be had for more than 1,000. But if you ‘re looking for even higher resolution, you’ll have to dig deeper to buy a GTX 1060 or GTX 1070 notebook . Huawei’s lightweight and stylish touch-screen laptops cost well over $ 1,000. 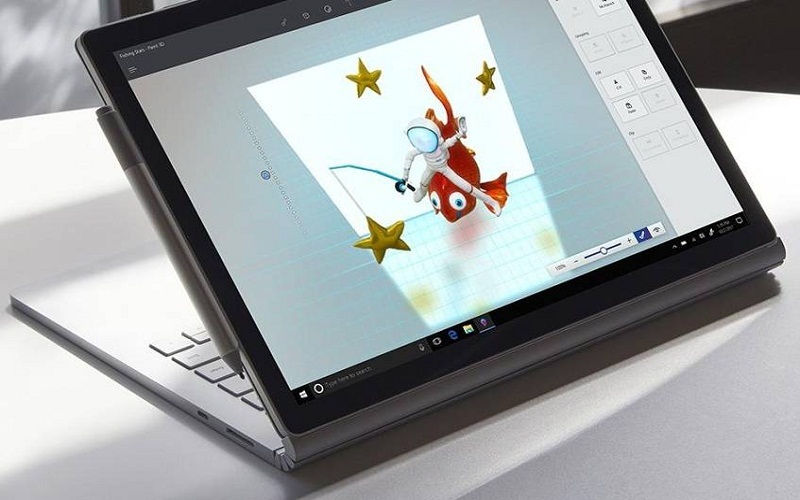 The Huawei Matebook X Pro has a particularly high-resolution display. The presentation is as sharp as on the smartphone. At the top end of the price scale are the luxury notebooks. Its slim housing accommodates touch capability, high computing power and gaming capability. The achievement has its price, because for a Microsoft Surface Book 2 15 or a Lenovo Thinkpad X1 Extreme you must lie down after all approximately 2,000 euro. NEXT POST Next post: She Noticed This Woman Berating & Screaming At Someone In The Parking Lot.